The Friar's Road Home for Friendless Girls was established in 1886 at 2 Friar's Road, Ipswich. In 1890, it was described as a 'preventive home for factory girls' who had to be at least 12 years old. A payment of 3s.6d. a week was required for each girl until she could support herself by 'stay-work', supplied from a factory in the town. Girls were taught stay-work or trained for domestic service. A few years later, the hone's object was recorded as being 'to train for service girls sent from Unions, or undesirable homes '. 'Fallen' girls were not admitted to the home. In 1926, the home moved to new premises at 434 Woodbridge Road, Ipswich, where accommodation was provided for 17 girls, aged from 5 to 16 years. The intake of the institution was now 'motherless girls or those requiring care'. Payment of 11s.6d. a week was required for girls placed there by the poor-law authorities. For others, payment was according to circumstances, with some admitted free. At the start of the Second World War, the girls were briefly evacuated to Northampton but returned when it was decided that they would be safer in Ipswich. In 1952, the home was taken over by the Children's Society (formerly the Waifs and Strays Society) and known as Friar's House Home for Girls. The home closed in 1972 and became the Friar's House Hostel for Teenagers. 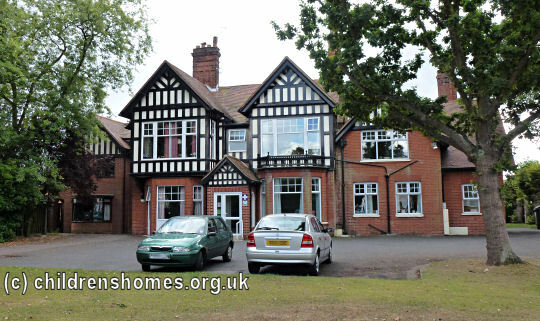 In more recent times it has been occupied by the Kent Lodge Rest Home. The Friar's road building no longer exists and the site is now occupied by the Princess Street multi-storey car park.